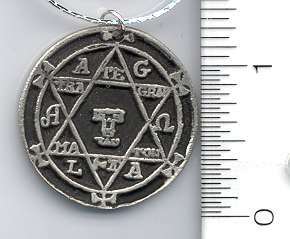 An Amulet or talisman is an object that ‘protects a person from trouble’. 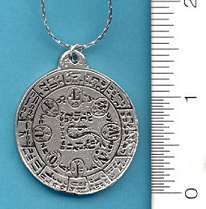 You will find in this section a variety of different amulets and talismans for various purposes and protections. 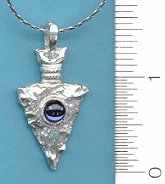 We have necklaces & pendants for; Norse, Celtic, Egyptian, Goddess, and Pagan symbolism. 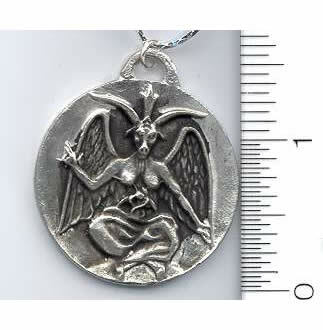 Eliphas Levi`s Baphomet God of the Witches. Approx. 1 3/8" diameter. Comes with chain. Also lets possessor into any desired house at will. Approx. 1" diameter. Comes with chain. 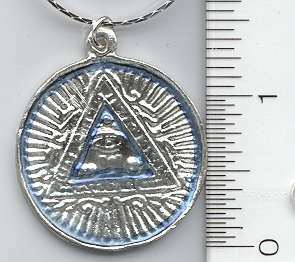 Makes the spirits obedient to the wearer. Approx. 1 1/8" diameter. Comes with chain. 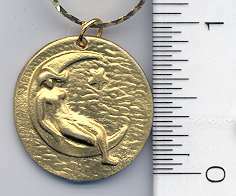 Woman and Moon Pendant design. Gold finish. Approx. 7/8". Comes with chain. 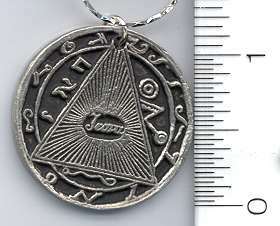 Protects from all dangers and evil spirits. Approx. 1 1/8" diameter. Comes with chain. For developing personal power. Approx. 1" diameter. Comes with chain. 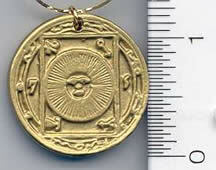 Provides invisibility; Gold finish. Approx. 1 1/8" diameter. Comes with chain. From the 6th & 7th Book of Moses; confers great wealth honors and promotes good health. Approx. 1" diameter. 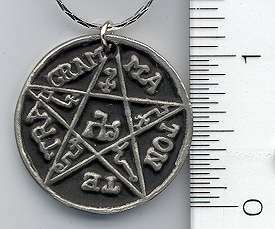 Comes on silvertone chain.